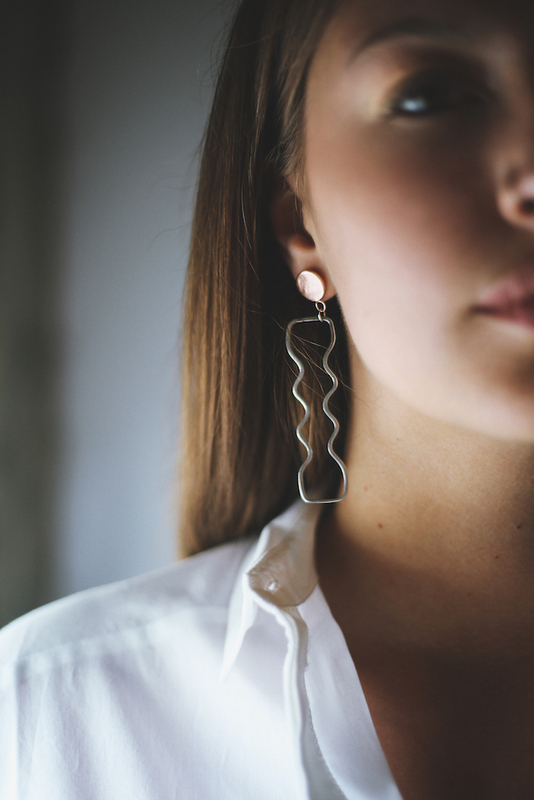 Combining traditional jewellery techniques and values with contemporary fashion, I make and design a line of jewellery with a strong signature aesthetic, as well as creating bespoke pieces for clients and collaborations with other designers. Unhappy with the way in which fast fashion has moved the fashion industry, I create pieces with the essence of fashion from precious and semi precious materials that are to be treasured as heirlooms in the way that traditional jewellery is. Discovering a love for silversmithing, I have combined this with my avid interest in fashion to create a fine fashion jewellery brand. I moved to Peckham by chance, however I have made it my home by choice, it is a strange and wonderful place full of strange and wonderful people, I appreciate the small community feel and abundance of independent businesses that grow here. I hope to grow and establish myself as a jeweller and jewellery brand at Peckham Levels, gaining more stockists and clients locally around South London, additionally I have hopes of collaborating with other designers and brands within Peckham Levels.